Newport Beach, CA – March 21, 2018 – (GuitarPR) – A new podcast has emerged in the world of guitar-related business. 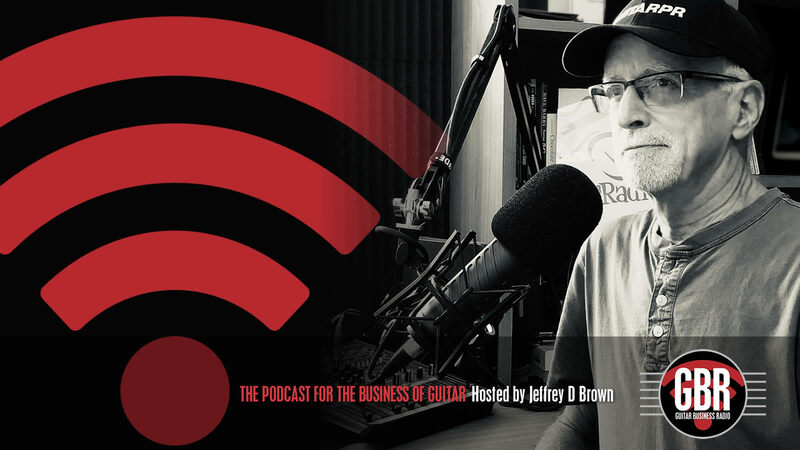 Guitar Business Radio, hosted by Jeffrey D Brown, is the Podcast for the Business of Guitar. Its unique and colorful format is designed to appeal across the board to an audience from guitar builders to guitar players and anything in between. One of the weekly podcast’s frequently seen slogans reads, “No Reviews. No Demos. No Idle Chatter. All Business.” The show offers a diverse mix of interviews, news and commentary from the host and his guests, who come from a variety of guitar-related positions within the industry, all in tightly produced segments. Guitar Business Radio has launched with six episodes and a trailer under its belt with new shows coming out every Monday. It can be found on Apple Podcasts, Google Play Music and Stitcher as well as on the show’s website. Show host, Jeffrey D Brown, has enjoyed a lengthy career in media and marketing spanning nearly four decades with over 20 years in guitar-related markets. His interviews do a deep dive into topics covering areas of interest to anyone who has a business connection to guitar. A segment at the end of every show known as The Value Shot provides a unique business perspective combining useful ideas and methodologies with a sprinkle of inspiration thrown in for good measure. These segments average about five minutes and are also available in stand-alone video format. They are located on the website as well as the show’s YouTube channel. For more information or to listen to the show, simply search for Guitar Business Radio or visit the website at https://guitarbusinessradio.com.